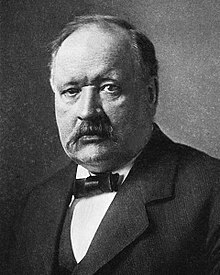 Eolaí a rugadh gar d'Uppsala na Sualainne ab ea Svante August Arrhenius (19 Feabhra 1859 – 2 Deireadh Fómhair 1927). Rinne sé taighde bunúsach ar rátaí imoibrithe ceimiceacha, agus shaothraigh teoiric díthiomsú leictrilítí. Bhuaigh sé Duais Nobel na Ceimice i 1903 as an saothar seo. Ar an dream beag a thuig an iarmhairt cheaptha teasa san atmaisféar go luath.